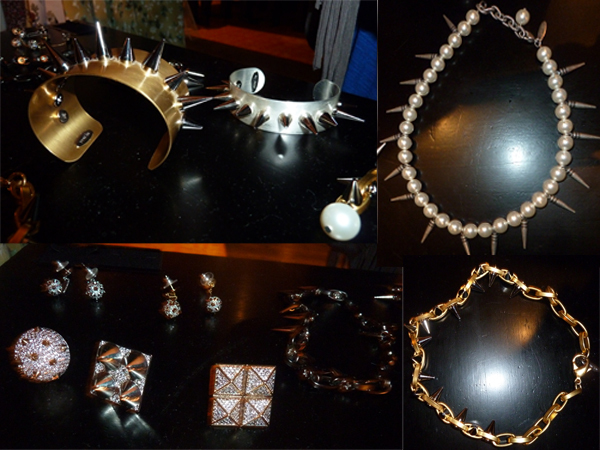 These gorgeous, badass studded pieces by new jewellery brand Joomi Lim caught my eye straight away. I loved the studded bracelets and also the pearl and stud necklaces for the contrast between prim pearls and kickass studs. These pieces will be available via Nyla, which is a new online boutique specialising in eclectic brands from New York and LA…hence Nyla! Upper Street was founded by sisters who basically got tired of trying to find the perfect shoe. Who hasn’t been there?! They wanted to bring their own shoe designs to life, and Upper Street was born. It’s not just an outlet for their own designs, anyone can log on and create their own beautiful, handmade shoes. They also collaborated with Jasper Garvida to create some stunning snakeskin gladiator sandals. They’re on the far right-hand side, samples of Upper Street designs are displayed. I’m a big Kandee fan. It’s quite amazing to think that the founder of the company is just 21 years old, I think Kandee shoes are really coming into their own and carving out a niche in the market. If anyone wants to get me the red sparkly pair, I’d love you forever! 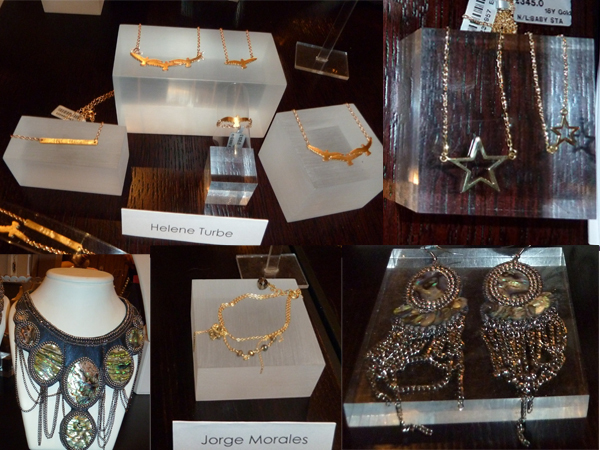 EC One is a jewellery boutique which started in Exmouth Market, hence the name. They have since opened a second boutique in Notting Hill and count the likes of Alexis Bittar and Alex Monroe among the brands stocked at this super little independent jewellery store. I’m a pretty big Jasper fan, I covered his Spring/Summer 2011 collection in this post, so I won’t write too much about it here. I took lots of detailed pictures to show the quality of the fabrics and those amazing gold disc sequins.